The South Philadelphia Sports Complex has several of the most popular attractions in the region. It is home to Citizens Bank Park, Lincoln Financial Field, the Wells Fargo Center, and Xfinity Live entertainment center. The area will soon have a large new casino at 10th Street and Pattison Avenue. A new museum is planned for the Sports Complex which will add to the area’s attractions. The Philadelphia Museum of Sports is founded by sports executive Louis Scheinfeld and is being championed by former Governor Ed Rendell, sports writer Ray Didinger, the Philadelphia Convention and Visitors Bureau, and the Independence Visitor Center. The Philadelphia Museum of Sports will take up one third of the Jetro warehouse building across the street from the Linc. 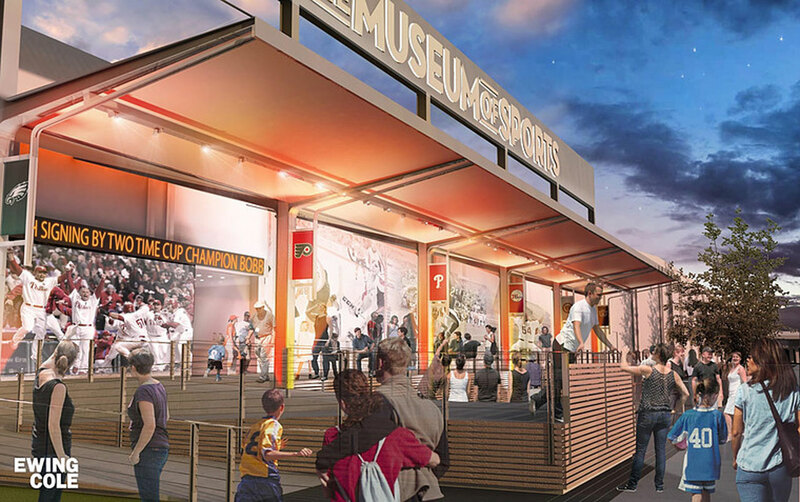 It will have 8,000 square feet of sports memorabilia from a variety of American teams and sports. Much of that memorabilia would come from the collection of Dr. Nicholas DePace, which contains 5,000 items. The museum is meant to be interactive, with digital and virtual reality activities and exhibits. It will, also, have a theatre, a sports-themed restaurant, an event space available for rent, a shop for collectibles and memorabilia, and an outside patio. The institution will include a “Golden Vault” auction and training rooms for kids. The Philadelphia Museum of Sports will be a unique addition to the famed South Philadelphia Sports Complex. It will harness the area’s passion for sports and attract sports collectors from around the country. And it will create more demand for homes in South Philadelphia, as well as, create more jobs for South Philadelphia residents.